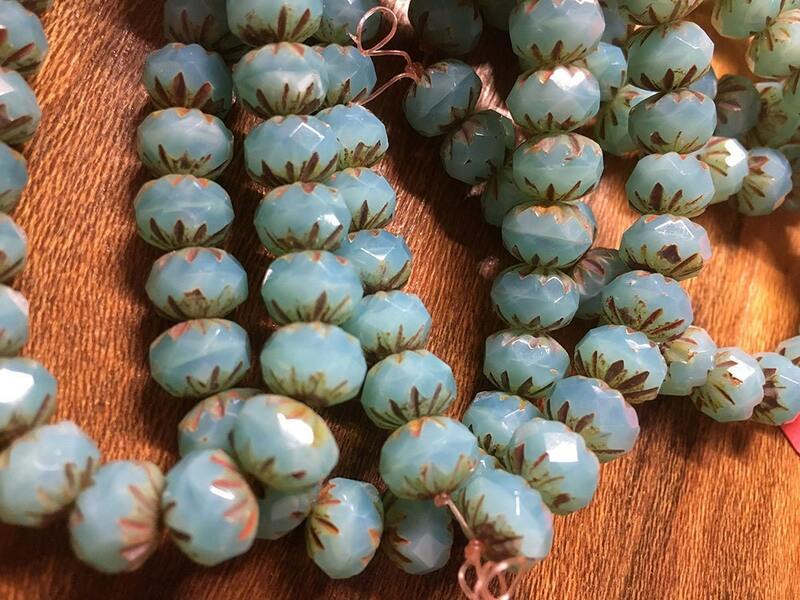 Gorgeous cruller beads in an opal milky green turquoise and picasso finish. Czech pressed glass large faceted cruller beads have a picasso finish is found around the ends of each bead and has a serrated or fluted pattern. Beautiful!! Fast shipping, wonderful seller!!! Thanks so much!! !